The European Union's common defense push is set to coincide with an undesired top jobs reshuffle. 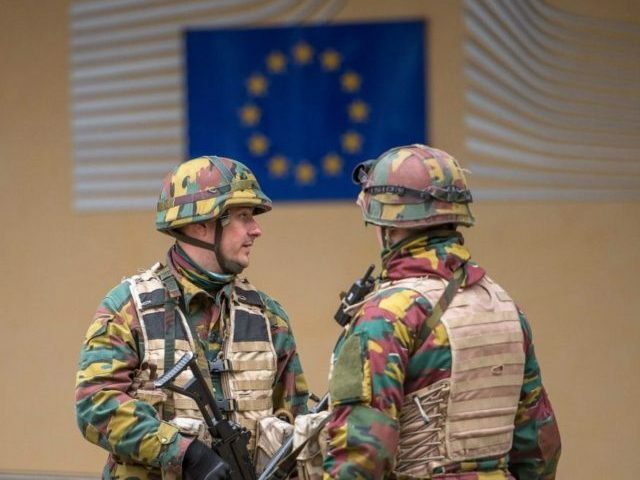 Ever since France and Germany came out with a joint paper September for a "European Defence Union," forces in Brussels and national capitals have been pushing to make that happen. In addition to this, Jean Claude Juncker's called for a permanent military headquarters and common defense in his annual speech. Since the Franco-German paper, Spain and Italy have hopped on board for further defense cooperation. This comes at a tumultuous time, when the European Council President and European Parliament seats are up for grabs in the coming months. High Representative Mogherini has laid out plans with EU defense ministers to be proposed in November, to be decided by heads of state and government at the EU Council in December. Simultaneous to this, the European Parliament subcommittee on defence has been debating the draft of legislation on a "European Defence Union," a term former High Representative Javier Solana originally promulgated and proposed to European Parliament in June. This too is expected to be tabled in November. While disagreeing to some extent on the details, EU officials and some major countries want a permanent military headquarters, joint defense finance activities, and the ability to intervene in outside countries, independent of NATO. This will happen under the auspices of the Treaty of Lisbon's "Permanent Structured Cooperation." These concepts are what Solana and others have meant by "European Defence Union." Surprisingly, this major defense integration push may very well coincide with musical chairs among some of the EU's most senior positions. 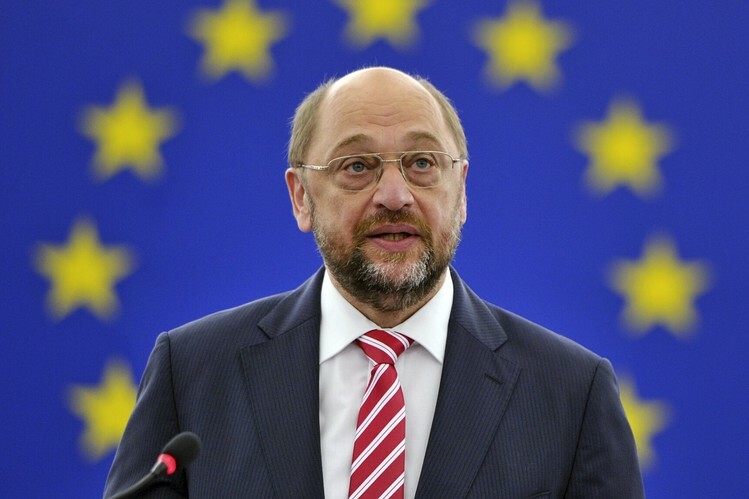 European Parliament President, Martin Schulz (S&D party), seeks an unprecedented third term of office starting in January 2017. 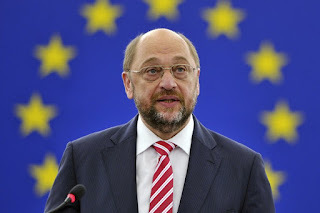 Although he is backed by Juncker, this directly contradicts a written agreement Schulz has with the largest party in Parliament, the center right EPP party. It is likely the EPP will get the Presidency. European Council President Donald Tusk (EPP party) is not supported by Poland for a second term. This alone will not prevent his term renewal in June 2017, but it is politically destabilizing and might allow anyone who dislikes him or his party to have more leverage. European Commission President, Jean Claude Juncker (EPP party) was rumored to possibly quit his term early, due to health problems. However, due to Brexit and calls for his resignation, he did not step down in order to save face. This third option is much less likely than the first two, but needs to be considered. 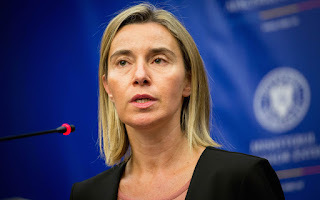 High Representative Federica Mogherini (S&D) is one of the most followed of all the politicians on Twitter. Furthermore, she is very well liked by Commission President Juncker and is generally regarded to be high performing. An article in Der Spiegel stated that Mogherini is the "hope" of many in the S&D party as a lead candidate in the next European Parliament election cycle. This article strongly implies that some want her as the "Spitzenkandidate" (lead candidate) for European Commission President. If the EPP group gets the Parliament presidency, then 3/4 top jobs will be held by someone in the EPP party. According to S&D leader Pittella, this is "unimaginable." There is increasing reason to believe that the S&D group will try to put an S&D person in the European Council presidency if they lose the Parliament presidency. Though Germany wants to keep Tusk, Italy and France may be open to such a maneuver, because they are led by socialists. A Man Leading the EU's New Military Machinery? Long story short, if under any circumstance Mogherini is promoted to a new role, it leaves the High Representative seat wide open for Javier Solana. He has been increasingly interested in European defence integration, placing an inordinate amount of effort in the process, even working with European Parliament itself. If you check out this page (starting March 2015), it will be hard to imagine someone who has done all of those things being uninterested in the High Representative seat, especially since the job was literally made for him originally. Furthermore, Javier Solana would immensely help party balance, as he himself is of the S&D group. A 7 Year Whitebook for Defense? If you go to the overview page, you will see that Solana presented a proposal for a Whitebook for European defense. MEP's have gone on to create a draft resolution on a European Defence Union, to be voted on in November. Critically of interest, the White book, when it comes out, is meant to be a 7-year plan. They repeatedly reference the EU's MFF (7 year budget) in the draft resolution. The 7 year nature of the whitebook may not be prophetically significant, as the Antichrist's seven year treaty with Israel is most likely to happen under the auspices of the EU's ENP, which is a seven year relationship to Israel. (This too is based on the EU's MFF). Nevertheless, the Whitebook could be really interesting if it ultimately provides some kind of security guarantee to countries in the middle east and north Africa regions, or otherwise suggests using military force to stabilize the region, as Solana has suggested that the European Defence Union should do. Stay tuned and Come Lord Jesus!